When you need high fashion shoes to go clubbing in. Do it the right way with shoes by Antonio Zengara. Featuring high fashion styles that are made to get you in noticed in the line and inside, these shoes will bring the party to you. 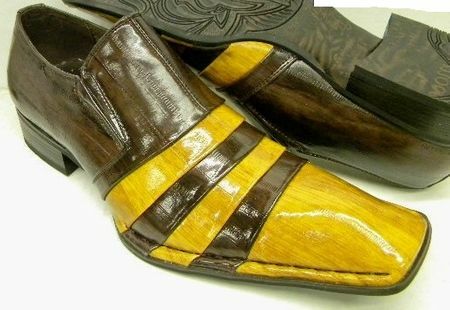 These brown and caramel color long toe style slip on shoes have a unique look that is perfect just for starting a conversation in. Read More about Antonio Zengara Shoes here.